The threat of closure has drawn nearer for London’s wonderful Wenlock Arms, featured here at Get to the pub.com recently. And the particularly crazy thing in this instance is that the Wenlock not only makes people happy but is also working perfectly well as a business. 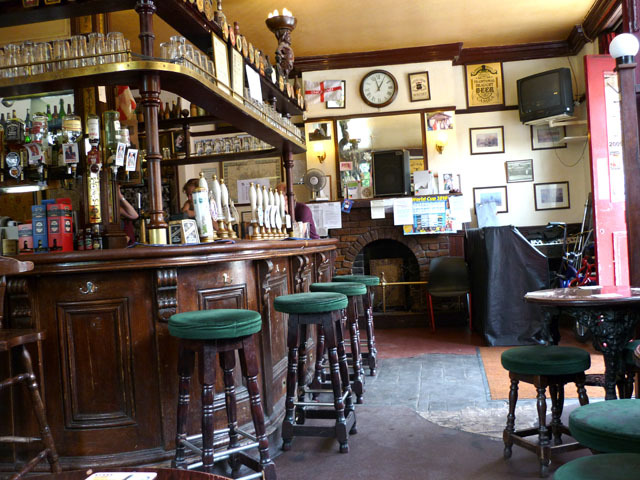 Another award-winning pub under threat is the excellent Coachmakers Arms in Stoke-on-Trent. As we observed on our visit there, it’s bad enough watching licensed premises shutting down when they can’t attract enough custom – so when the wrecking ball hangs over a pub that’s doing just fine, it verges on tragedy. The very real danger, apparently, is that some rich sod will buy the Wenlock and decide to become richer still by knocking it down to build an office block or something that makes people miserable instead of happy. So if this new government is in any way serious about protecting pubs, then let’s see less of the mendacious political posturing and something to stop popular and viable boozers being bulldozed to enrich the wealthy still further while diminishing the surrounding community. “If it stops being a pub, if it’s knocked down, or if offices are built, it can never go back. That site that’s been a pub since 1835, survived the Blitz, survived 80s dereliction – will never exist again. All that history, that community, will just end,” says Wenlock punter Tessa Norton. This expresses beautifully the very reason that Get to the pub.com exists, and it shows how much this particular pub means to the folks who drink there. Tessa and her mate Sian Murphy are organising to save the pub. It’s all to play for. Follow their campaign blog, do the Facebook and Twitter if that’s your thing, and get to the Wenlock for a pint if you can.